The new Scala floor screens are covered by felt on both sides. For the floor- and the table screens, Anya Sebton has developed stands, composed by steel pipes, which highlight the spontaneous manner of the design. 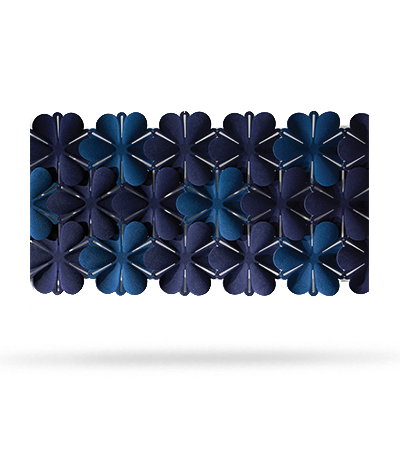 The modules are made from moulded felt fabric (Blazer) with on a sound-absorbing core. The stand is available in black or white lacquered performance. Scala is 100% recyclable and the fabric is approved by EU Ecolabel.